One of the most anticipated fights that can be made now is Vitali Klitschko vs David Haye. Haye is seen as a loud-mouth who never backs up his threats and then makes excuses about why he performed so poorly. A lot of people want to see Vitali Klitschko shut David Haye up. What people forget is that Haye is fast, athletic, and punches hard. This is a good description of what you need to stand a chance against a Klitschko. Vitali may be the tougher of the two Klitschko brothers but Wladimir is the faster. So with Vitali unable to match Haye for speed, it gives the Brit the opportunity to land one of his trademark 'Haymakers'. David Haye poses more of a threat to Vitali Klitschko than he did Wladimir, and Vitali deserves double the credit for taking a dangerous fight that he doesn't really need. But before he can fight David Haye, Vitali must first get past Dereck Chisora, the heavyweight from London who recently lost to Robert Helenius. The two are scheduled to meet in Munich in February. Will Wins Over Dereck Chisora and David Haye Be Vitali's Best? 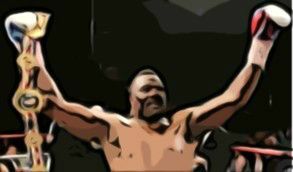 Dereck Chisora will be a tougher opponent than many expect. On paper, beating a fighter with a record of 15-2 doesn't seem that impressive. But if you watched their fight, Chisora clearly beat Robert Helenius, a boxer viewed as the number three in the heavyweight division. Although Chisora didn’t get the decision in Finland, we all know he won that fight. Beating the number three in the division should mean that you are now the 3rd best in the division. And if Vitali were to beat Chisora, it would be a good win but not a great one. The only reason why David Haye is not ranked the number three heavyweight is because technically he is retired. If he weren't, Haye would definitely be thought the best in the division after the Klitschko brothers. In beating Haye, Vitali will demonstrate that he is prepared to face the best his division has to offer. Chisora and Haye would be good wins for Vitali if he gets them. A knockout over Haye would be the best, but I'm sure he'd take a wide points decision as well. The heavyweight division is the weakest it has been in a long time where competition is concerned and Vitali wants to cement his all-time-great status by beating whoever he can. Chisora and Haye aren't bad choices. Vitali Klitschko fights Dereck Chisora on February 18th and takes on David Haye sometime in July.